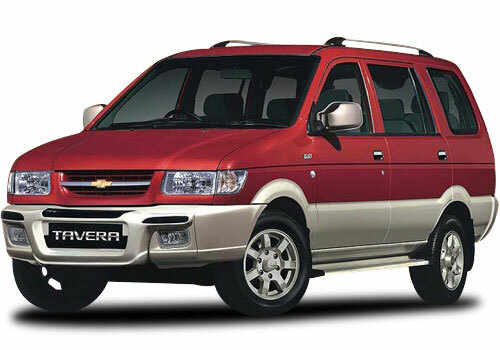 The General Motors has said that the Chevrolet Tavera has been recalled due to some reasons and now the company is going to present it with some changes. The company has found some problems in the exhaust emission and the company has decided to bring it after getting the problem resolved. This multi utility vehicle is very famous in India because of its power-packed performance and it is capable to drive on the urban and as well as on the rural road. The Chevrolet Tavera price range starts from Rs. 7.24 lakh to Rs. 10.94 lakh (Ex-showroom, New Delhi). It is quite reasonable for the middle class and the vehicle is perfect for the middle class. 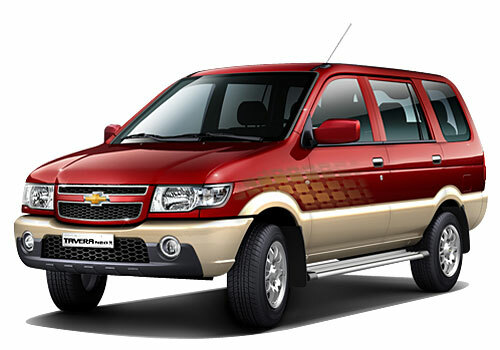 The Chevrolet cars has loaded this four wheeler with 2.5-litre diesel engine with the displacement of 2499cc. This engine is capable to produce 105.30bhp at 4000 rpm and at the same time it will deliver a maximum torque of 263.7Nm at 2500 rpm. The fuel economy of the vehicle is good and it is capable to return the 11 kmpl in the city conditions and as well as 15 kmpl on the highway. The acceleration and pick up quality is quite impressive with the top speed of 140 kmph and it can easily cross the speed of 100 kmph from the standstill in 23 seconds. Along with the power packed performance, the company has given this MPV an impressive interior cabin with a lot of striking features and at the same time, we can say that the Chevrolet Tavera features are very comfort giving. The seats of the MPV is very comfortable and there are an enough space inside for relaxing the passengers. The company has given it with a lot of storage space, where we can keep many thing, these spaces are cup and bottle holder, magazine holder in the front, a big boot space for an ample of luggage. Apart from these, there are various safety features too in this multi purpose vehicle for protect the occupants while travelling. The Chevrolet Tavera pictures are good with its striking exterior aspects. The front of the MPV is loaded with an enlarged radiator grille and a company emblem in the centre, which gives it an aggressive look. It has also a set of alloy wheels, which is covered with tubeless tires and also give it a sporty look. Then it is loaded with a bright and well shaped head light cluster and a pair of fog lamps, which helps in enhancing the visibility of the driver in night or any bad weather conditions and GM India soon launching the chevrolet captiva facelift in India.